The Shadow candle holder is a funny light show with light and shadow. The candle is always in the shadows. You recognize the image immediately. 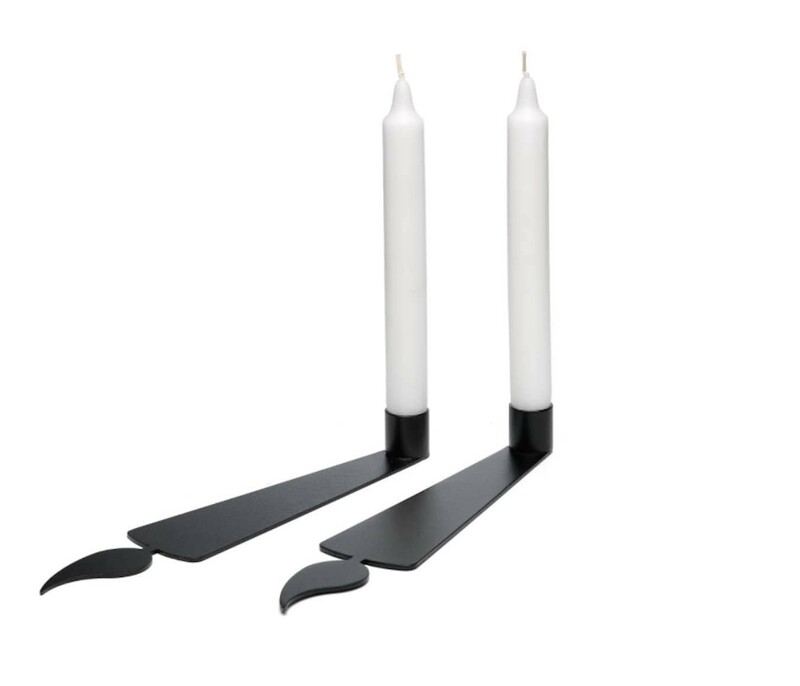 The shadow candlestick holder is made of black coated steel. The white candle is included. A great gift, even for yourself. 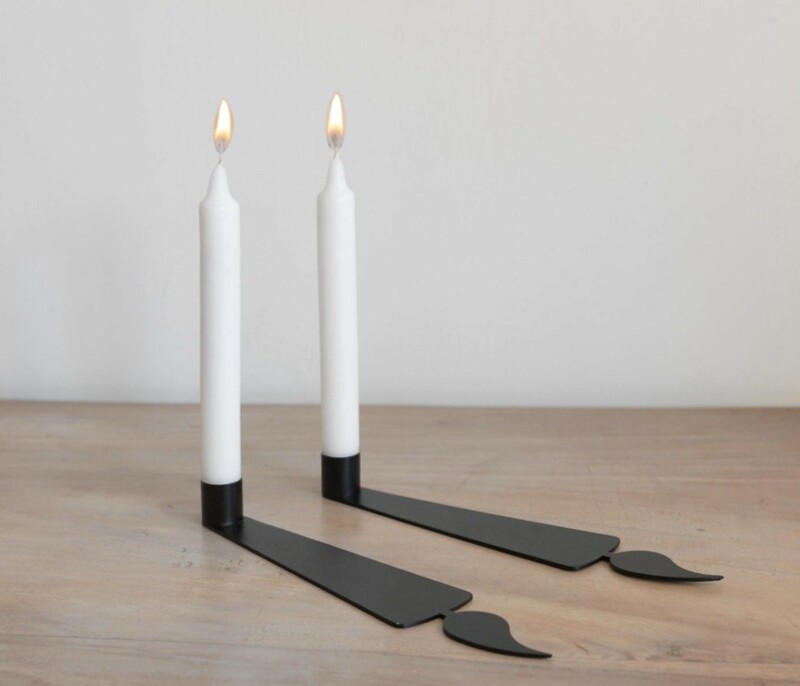 Suggestive and funny: the Shadow candlestick holder is a true light show. The candle in the candlestick holder is always in the shadows, which always has a flame, even if the candle isn't lit. It is this black steel shadow, that gives the Shadow it's stability. Everyone will immediately recognize the image, something that JP Meulendijks want to achieve with his designs. Fun to get, but even more, fun to give. 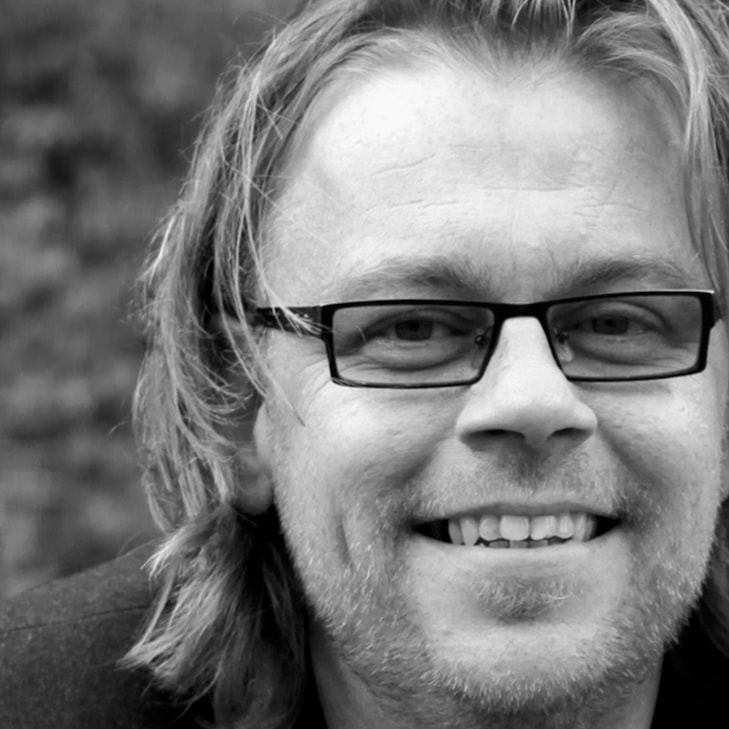 The designer, JP Meulendijks, describes his work as fresh, soulful, minimalistic, and with a good dose of humour. Designed by my own way of thinking and brought back to the essence of the idea. 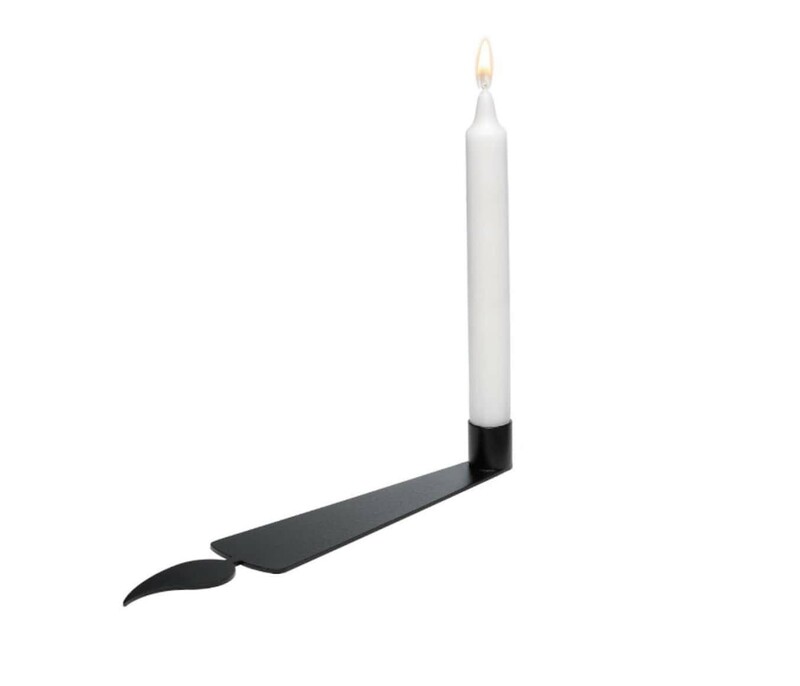 The Shadow Candlestick holder is made of black coated steel. Designed and produced in the Netherlands. We send the Shadow including the candle. 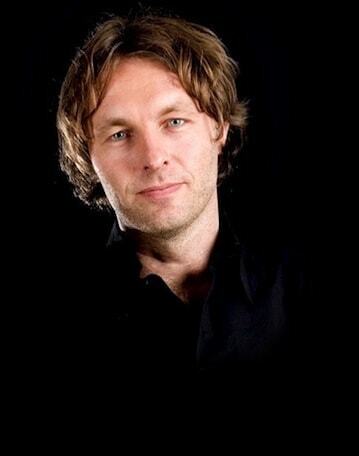 The designer duo Emiel Vaessen and Gert Jan Vogel are the faces of DUO Design. They met at the Academy of Fine Arts in Rotterdam. After graduation, they started their adventure together by forming their own studio: DUO design. The accessibly priced interior products of DUO design are characterised by their practical simplicity with a unique twist. The product range of DUO Design is sold in countries around the world. 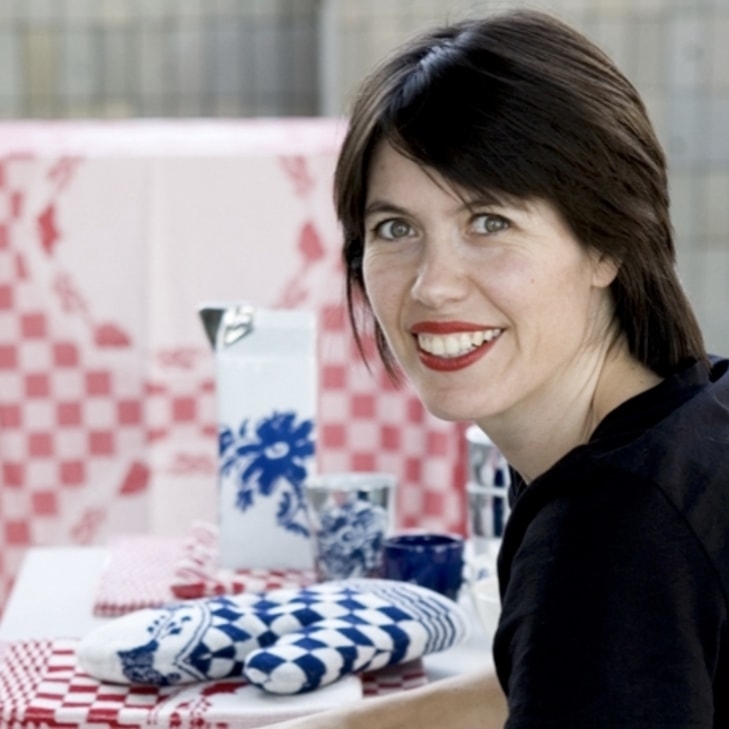 DUO Design cannot be absent in our Holland online shop! The combination of simple designs, subtle details and the use of quality materials distinguish these products and make them instantly recognisable 'duo designs'. There are currently a number of Duo Design creations in various museums of modern art and design. In addition to designing and producing its own products, Duo Design is a wholesaler of designer goods from various national and international designers and brands. Are you wondering what DUO Design has to offer? Take a look at our online shop!